During the past generation or so, something unusual has happened in business: managers have evolved from the boss to a team player. Figuratively, they are still in charge, of course, but leaders realized they got farther by being in partnership with their employees. They act more like a visionary facilitator, rather than a strategy imposter. Why? By necessity, given the new reality of rapid strategic execution — strategy has become more fluid and responsive to change — and wise leaders encourage team members to execute in whatever way works best at a particular moment. In the wake of the Great Recession, managerial and rank-and-file jobs have begun converging toward a single continuum. No longer can leaders consider ourselves completely distinct from our non-managerial teammates, whether the unions like it or not. Geophysicist H.S. Mackenzie Burns led Shell Oil in the 1950s, ascending to the Board of Directors in 1957. His strategy of focusing on employee contentment and development was not only ahead of its time, it proved remarkably successful. During his tenure, he helped Shell grow into the world’s second-largest revenue producer. An excellent communicator, he also pushed Shell to adopt computers in the early 1950s — the first company to do so. Let’s look at a few ways you can tap into the potential of your team members as you improve their lot, strengthening the beam of your leverage machine on the way to more effective execution. Everyone says they do this, but in our precarious economy, most leaders still see employees as replaceable. In a sense they should be, so they can be promoted; but they’re not interchangeable machine parts. They’re people. If you take care of them, they’ll take care of you. In a knowledge-based business, your team members become especially valuable. Treat them well so they’ll stay with you; good workers cost a lot to replace. Talk is cheap. If you can’t keep a promise, don’t make it. Otherwise, tell your people what you plan to do to increase their job satisfaction and performance—and then do it. Similarly, don’t demand the kind of hard work and focus you won’t do yourself. You’ll have their loyalty if you’re in there actively working with them, insofar as your duties allow. Find reasons for your team to pour their discretionary effort into their work. Empower them in every way you can; share your authority; provide top incentives in whatever forms work best; tackle your own work with enthusiasm and verve. Remain as accessible as you can, given the need to do your own work; and don’t micromanage. Trust your folks to do what they need to do, and make it easier for them to do it. Rather than acting as a distant eminence more worried about your annual bonus than your team, make it clear you care about your workers. Not to be cynical, but it’s easier for them to like you if you care about them — and if you make it obvious you do. If your people feel happier, they’ll perform better, and you’ll all prosper as a consequence. Protect your team from both the ups-and-downs of the economy and from misguided cost-cutting efforts from higher up. If lower-level management at electronics giant Circuit City had fought more effectively for their experienced floor-personnel back in 2007, when the C-Suite execs decided to replace them all with untrained newbies, then Circuit City might not have gone bankrupt in 2009. Some leaders can be very shortsighted when it comes to protecting their own compensation — one of the factors in the Circuit City decision. Provide your team members with the training, coaching, and mentoring they need to maximize their Return on Investment (ROI). If they believe they need further education and promise to use it for your benefit, then take advantage of the opportunity, so you can both benefit. I have recovered the investment I made in my office manager’s WordPress training by huge margins. Make the option available to anyone who qualifies for it, and allow everyone as much room to improve as they can handle. You’ll more than earn back the cost in productivity and goodwill. 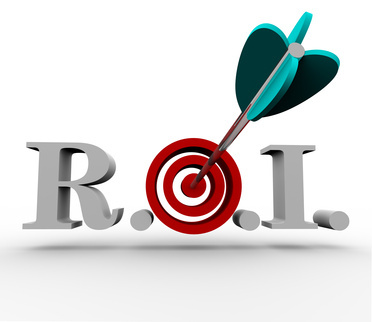 Remember: in the end, all that matters is ROI, not initial cost. If you can make more money by improving your employees’ performance than you spend on doing so, then seriously consider doing it. When employees tell you specifically how you can help them boost their productivity, listen up! If H.S.M Burns could turn his company from an also-ran to one of the most profitable businesses in the world in the middle of the last century, then you have a very good chance of improving yours using modern business techniques and technology — as long as you keep his central thesis in mind: Never lose track of your team’s best interests while pursuing your own. That’s the touchstone of the good manager. How have you put this concept into play yourself?